Everyone know that the Utorrent is best than BitTorrent because of its small size and User-friendly features. If we want to buffer the video, movies in torrent then it will play easily but in BitTorrent case, it is not possible. Let’s not compare Utorrent and BitTorrent. It depends on person to person which torrent client he/she loves for downloading. Now, these days Torrent is most Popular than another site. Now someone wants to download a movie then he/she must visit on the torrent site. For example, if the user wants to download the movie from server site. Server site must provide some limitation such as bandwidth limitation, user account etc. Open Utorrent and click on Options. Click on the drop down menu, select Preferences. Then the new window will open. Here You skip the first three options and open Connection. 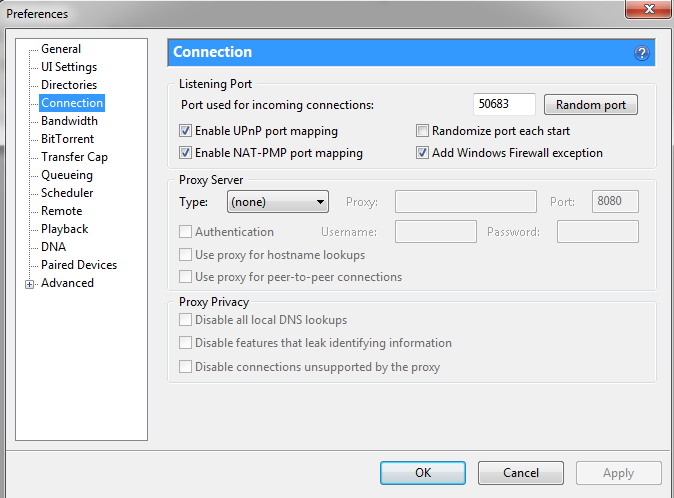 Make sure Enable UPnP port Mapping and Enable NAT-PMP port mapping are enabled. 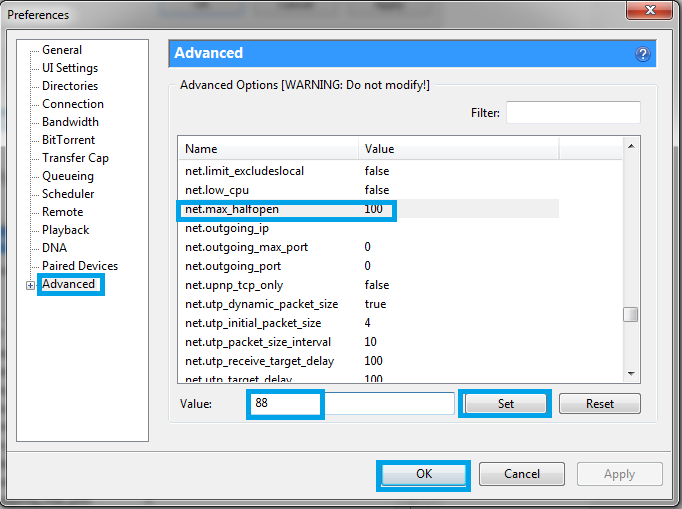 Then move to Bandwidth option and enable Apply rate limit to uTP connections if it’s not enabled by default. 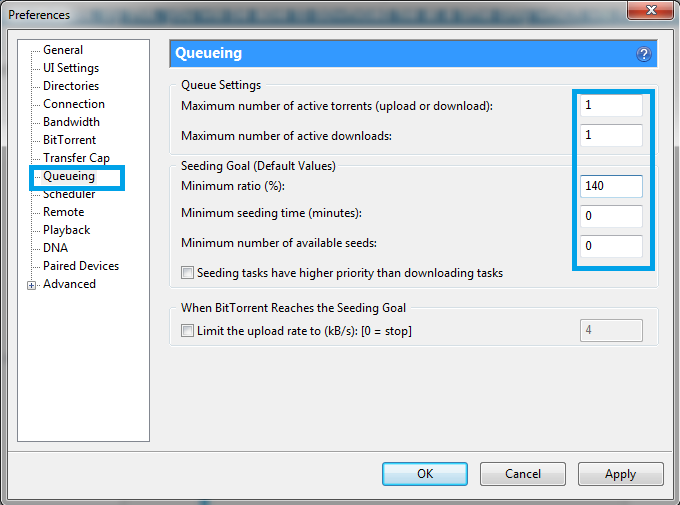 Then click on queuing, change Maximum number of active torrents (upload or download): to 1 and same for the Maximum number of active downloads. By this, you will be able to download file at a time only which will make the download faster. Now click on Advanced, search for net.max_halfopen and enter any value more than 80 and less than 95. Say, use 88 as the value.